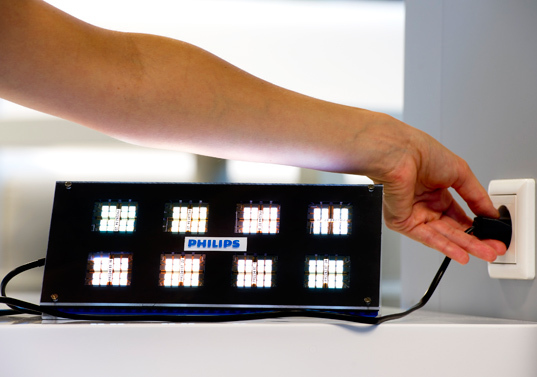 Philips reached a new milestone in OLED lighting this week: the first AC-powered OLED module. In the past, OLED technology required DC voltage — a requirement that meant OLED panels had to contain expensive switching mechanisms. But the new AC-powered OLEDs can be plugged directly into a standard wall socket, potentially bringing down the cost of the low-energy lights. 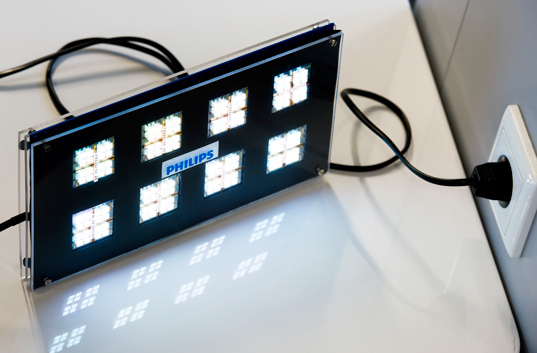 In addition to making OLED lights cheaper, Philips‘ advancement purportedly increases design freedom, improves end-design reliability, and allows OLEDs to come to market more quickly.